Marine and estuarine species often exhibit patterns of genetic variability consistent with demographic disequilibrium caused by reduced population sizes, possibly associated with glacial cycles. With one exception, previous studies in southeastern Australia have concentrated on taxa with broad distributions for which convincing scenarios to explain range size reductions are generally lacking. 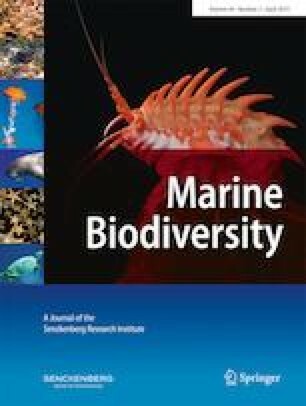 This study investigates the genetic structure of the mussel Austromytilus rostratus, which is a limited-range taxon endemic to the region, to examine the role that demographic instability may have played in its phylogeographic history. A. rostratus presently has no marked geographic structure in mitochondrial cytochrome c oxidase subunit I DNA sequences, although it exhibits very high diversity of haplotypes, with many restricted to one of the three regions where the species is particularly abundant. FST values between these regions are low although they are separated by areas of low population density. Sequence mismatch distributions and population genetic statistics suggest that demographic disequilibrium has occurred in A. rostratus overall and within each region. The species may have experienced population size changes, possibly through a decrease in its distribution during climate cycles to southern refugia at glacial minima or to northern refugia at glacial maxima. Under either scenario, however, the operation of indirect factors such as changes in the ranges of predators, interspecific competition or nutrient availability would probably need to be invoked to explain severe reductions in population size. The online version of this article ( https://doi.org/10.1007/s12526-018-0872-y) contains supplementary material, which is available to authorized users. I thank the Australian Museum and the New South Wales Environmental Trust for the financial support, Pam Da Costa for DNA sequencing and three anonymous reviewers for helpful comments on a previous version of this manuscript. Collections for this project were undertaken under Permits F86/2163(A) (New South Wales Fisheries Research Permit), 7118 (Tasmania DPIW permit) and RP972 (Victoria General Research Permit). This research was funded by the Australian Museum and the New South Wales Environmental Trust (Grant 2008/RD/0071).